First flight took place on 9 February 1969. Not only that – in my opinion she was a brand leader and game changer and ahead of her time (and a huge commercial success). I remember on my first trips between ZA and Europe, when all the flights (except SAA) landed in NBO, and sometimes there would be 5 or 6 747s parked next to each other on the apron, how magnificent and impressive they looked in the harsh light of the floodlights in the small hours of the morning. Friends of mine are on their way to CPT now on G-CIVT. I will be very disappointed if I hear that the Captain did not make an announcement of some kind to mark the occasion. Totally agree with AircraftLover. B747 is and will always be my favourite due to its grace and upper deck exclusivities. 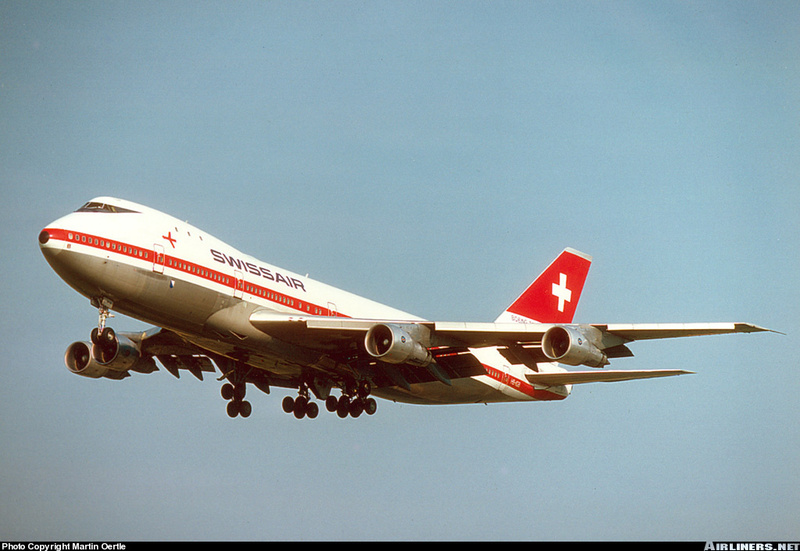 My first long haul and international trip was in a B747-200 in upper deck. I felt like a king. Although I prefer now A380 and A350 for less noise and hardly any airlines fly B747 nowadays, but if opportunity comes to fly B747, I will take that anytime. I hope Boeing could comes up with a very efficient engine so that B747 could be resurrected. I am pretty sure a smart engineer shall be able to design B747 to fly with 2 engines and keep other 2 engines as dummy or some kind of electric engine. In that way the profile of B747 could be retained. Come on Aeronautical Engineers, take the challenge. Yes, it’s funny that so many airlines have waved goodbye, but BA customers still fly with her so often (depending on route). 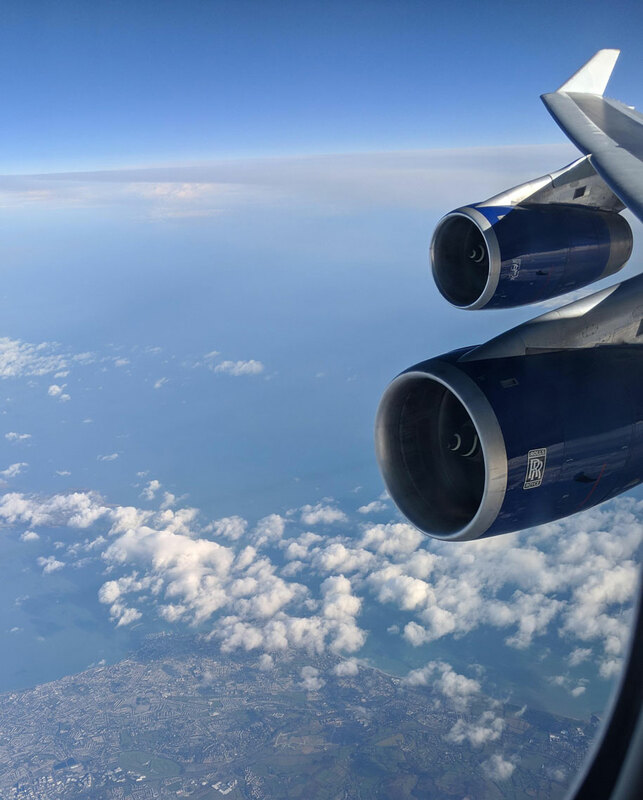 I went to Washington DC on one last week (and then back on an A380 the next day). It was one of the reconfigured super high J ones with, I think, 86 business class seats, and was very comfortable. I spent much of the journey, when not working or sleeping, staring out of the window….
. I spent much of the journey, when not working or sleeping, staring out of the window…. One of the reasons I always book a window seat is to be able to stare out of the window. I find it relaxing, interesting, and it suits my anti-social nature. My wife hates the window seat and thinks I’m mad! Perhaps it’s the same for me, though I did chat to the flight attendants. Staring out of the window is much under-rated, I think. When the B747s have gone, and BA has the new seats, we won’t be able to look backwards at the engines, either. My first 747 flight was on a PanAm classic, probably around 1980. A spiral staircase took you to the upper deck, which on the classic was a lot smaller than on the 744. J class seating was more comfy armchair than anything else in those days. The flight was LHR-SFO, and it was like sitting in a cosy club lounge rather than a plane. Very convivial! As my father worked for BOAC / BA, as a small child I was lucky enough to experience flying at the very front of the classic BA 747, and more importantly, enjoying the upstairs cabin which was then a small lounge area. As I now seldom fly BA, my last 747 experience was sitting in row 923 (or ir felt like that) of the LH 747-900 from Frankfurt to Mexico City. Like many others though, still my favourite aircraft. I mentioned in another thread, that the “Jumbo” was my favourite aircraft. I vividly remember heading out in my pyjamas in the back of my Dads chevvy to park up at the end of YVR’s runway , just so we could be under AC’s daily 747 flight from YYZ as it roared what seemed like just metres above us. Impossible to do these days !! 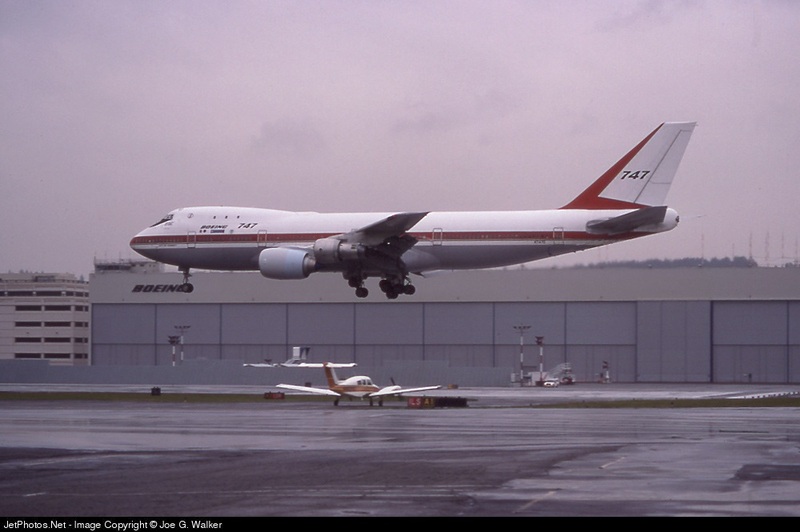 My first actual flight on a 747 was on the aircraft pictured ……….. Since that flight to HNL, I’ve be lucky enough to fly on KLM, Qantas, Wardair, Air Canada, JAL, Cathay, Garuda and British Airways . Would love to finish with a flight on LH’s 800 variant. Alas fate shall decide. I remember CP Air, I think they were still called Canadian Pacific when I flew on them. I can’t remember what aircraft CP flew us on, I rather thought it was a 707 but could be wrong. They did have a leased 707 but it had the hardest of landings (in fog)and ended up in the terminal building. That was in the late 60’s before they become well-known for their orange colour scheme and the rebrand to CP. It would definitely have been a DC-8. If not a stretch you might have been on a 43 or a 55. In fact you might have flown on a piece of aviation history. 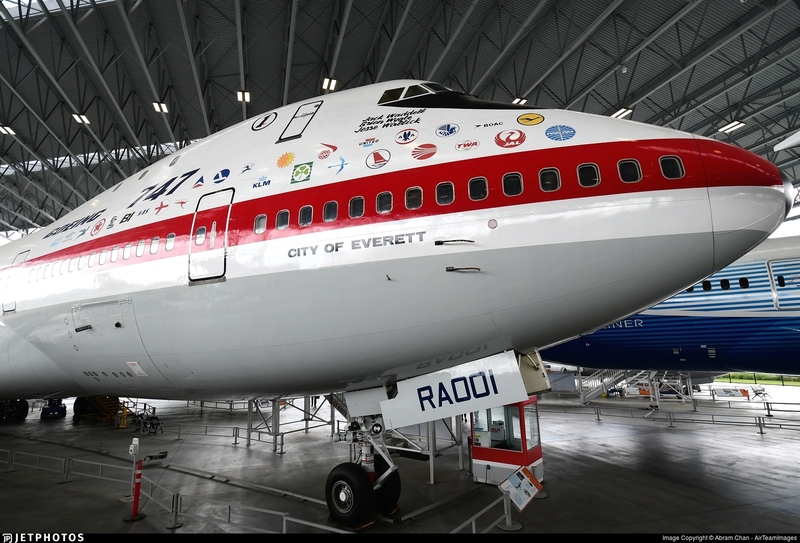 One of CP’s Dc8’s was the first jetliner to exceed the speed of sound. The original Concorde so to speak.